Welcome to Cambridge Gardens. 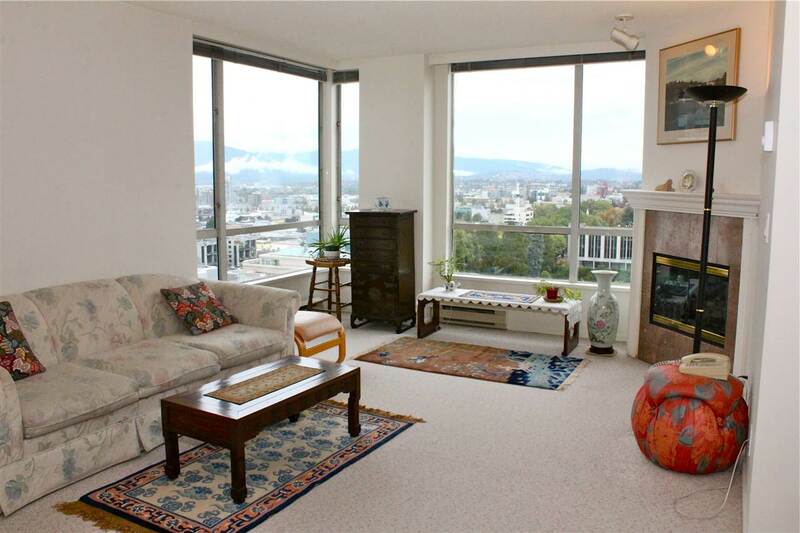 This spacious suite has beautiful city and mountain views in 3 directions. Other features include insuite laundry, gas fireplace and an excellent layout with an abundance of storage. There is a parking stall in the garage, a large storage locker and a bike room. The exceptional building amenities include an indoor swimming pool, an exercise centre and beautiful gardens. The location is very convenient to shopping, recreation, restaurants, transit and other services. Your pet is welcome and rentals are allowed. Measurements and size are approximate and should be verified by a buyer. Open houses not allowed but very easy to show by appointment.